Home Directs Does it make sense to procure volcanic energy? Geothermal power isn't anything new, and has been regarded as one of the more environmentally friendly alternatives to fossil fuels. The conclusions of spend analysis endeavors aside, setting up a geothermal plant largely depends on location, as certain areas have greater access to hot water and rock than others. Now, some people have speculated about tapping into the energy produced by surface-level and underground volcanoes, which has proposed a question that's quite befuddling. 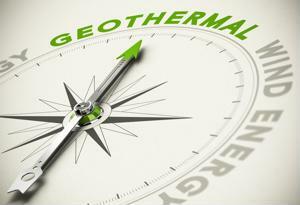 What's the difference between geothermal and volcano energy? Virtually nothing. The only reason why the answer isn't a straight "no" is that geothermal facilities don't need to tap into a volcano to generate electricity to leverage natural heat. According to Renewable Energy World, harnessing geothermal energy involves setting up a system comprised of a heat pump, delivery system and heat exchanger, the latter which is an array of pipes buried in shallow ground underneath a building. The way it works is that the heat pump removes heat from the exchanger and funnels it into an indoor air ventilation system during the wintertime. In summer, the process is the opposite. Other arrays allow this heat to be converted to electricity, which requires the architecture to tap into geothermal reservoirs of hot water. Heat can also be found in magma, or molten rock, which is often found in volcanoes. Apparently, Jakarta has recognized the benefits associated with tapping into a wealth of clean energy. IndustryWeek noted the Indonesian parliament recently passed a law that would allow the nation's geothermal industry to tap into the region's volcanoes. The source maintained that Indonesia hosts an estimated 130 volcanoes, holding 40 percent of the world's geothermal power. Despite the fact that it sits on enormous electricity potential (approximately 28,000 megawatts), Indonesia generates only a mere fraction of what nations such as the United States and the Philippines do. A mixture of legislative restrictions and high start-up costs have deterred enterprises from setting up geothermal plants. The law is a monumental step for Indonesia, as red tape prevented organizations from mining in many of the nation's protected forests. These heavily wooded areas are home to some of the country's richest geothermal sources, but environmental concerns are often raised when the prospect of initiating operations is proposed. Why was the legislature passed? Lawmaker Nazarudin Kiemas maintained that the nation's "need for energy keeps increasing." After Indonesian President Susilo Bambang Yudhoyono signs the law into effect, an uptick in geothermal investment is expected to occur.